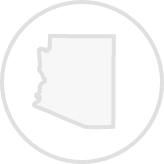 Create a legally binding Arizona Bill of Sale with our attorney-drafted template! What Is an Arizona Bill of Sale? An Arizona bill of sale is a form that documents the exchange of legal ownership for the property described in the document. In order for an Arizona bill of sale to be valid, you must include certain information in it. However, a bill of sale isn't always needed. For smaller personal items, you may not need a bill of sale, but creating one can still be highly beneficial. It can prove that the new owner has the right to possess the item. What Are Some Common Bills of Sale Used in Arizona? In Arizona, the most commonly used bills of sale include a general bill of sale for personal property, a bill of sale for a motor vehicle, a bill of sale for a boat, and a bill of sale for a gun. How Do I Write an Arizona Bill of Sale? The necessary elements for an Arizona bill of sale will depend on the item that is sold. However, all bills of sale need specific information about the parties involved. 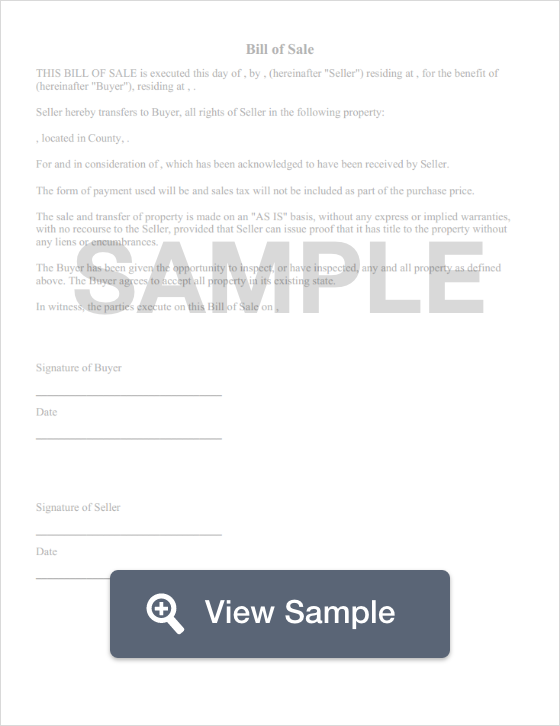 You need the legal name of both the buyer and the seller and their physical address. Also, Arizona bills of sale must also be notarized. When you write an Arizona general bill of sale, you will need to name both the buyer and seller. Next, you need the information about the item. In Arizona, it's important for the seller to include a paragraph that explains whether the buyer is taking the item "as is" or if there is a guarantee of some kind. If the item being sold has a serial number or other identifying number, you should include it in the bill of sale. It's also prudent to give a description of the item. For example, if you were selling a used television, you could list the make, model, and screen size. You would also want to list whether the item is sold "as is" or if there is some sort of warranty or guarantee. Next, you'd list the amount that is being given in exchange for the item. The value must first be entered in words and then in numbers. For example, seventy-five dollars and no cents ($75.00). Finally, the general bill of sale must be signed by both the buyer and the seller in front of a notary. An Arizona bill of sale for motor vehicles must include the VIN, year, make, model, and body style of the vehicle. You'll also need to list the date of the sale and the dollar amount. You will need to list specific information about the buyer and seller: their full name; driver's license number; date of birth; and physical address (including city, state, and zip code). This document must be signed by both the buyer and the seller in front of a notary. Remember that both parties should keep extra copies of the completed version. An Arizona bill of sale for boats must include the name, driver's license number, and physical address (including city, state, and zip code) of both the buyer and the seller. It must also include specific information about the boat: make, length, year, Hull ID, registration, odometer reading in hours, and the title numbers. Boats are often sold with a trailer. 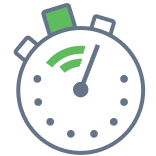 So, a bill of sale should indicate whether a trailer will be included. If a trailer is included, the document should list the make and model. If the purchase includes an outboard motor, you must include the make, year, and horse power. Unlike other types of bills of sale in Arizona, one for a boat does not need to be notarized. An Arizona bill of sale for a gun must include the legal name, driver's license number, and physical address (including city, state, and zip code). Next, you must list the make, model, caliber, and serial number of the gun. The purchase or trade price should be listed first in words and then in numbers. For example, one-hundred dollars and no cents ($100.00). You'll need to include the date that the purchase took place and the date that the buyer will pay for the gun. If there are other terms related to the gun purchase, they should be listed. If the gun purchase includes a direct trade, a concise description of the traded item should also be included. You do not need to have a bill of sale for a gun notarized since it is for your private records. Is an Arizona Bill of Sale Required to Register a Motor Vehicle? No, an Arizona bill of sale is not required to register a motor vehicle in Arizona. However, the motor vehicle must be registered within 15 days of the purchase. To register your vehicle, you will need to complete a Title & Registration Application (Form 96-0236), complete a Sold Notice (Form 46-8502), provide proof of car insurance, your identification, registration fees, and certain areas require the results of an emissions test. Is an Arizona Bill of Sale Required to Register a Boat? Yes, a bill of sale is required to register a boat in Arizona. The registration process takes place through the Arizona Fish & Game Agency. You will also need to complete a Watercraft Registration Application, have a Manufacturer's Statement of Origin (for a new boat), a current registration slip signed by the previous owner, your identification, and the fees to register your boat. Is a Bill of Sale Required to Register a Gun in Arizona? No. Guns are not registered. However, if you plan to carry a gun either concealed or via open carry you must meet the legal requirement to do so. For example, those convicted of certain crimes are not legally allowed to possess a gun or carry one. There are also some instances where you must register for a concealed weapons permit. To learn more about Arizona's concealed carry permit, you can use this link to email the Arizona Department of Public Safety. Create a free Arizona Bill of Sale in minutes with our professional document builder.